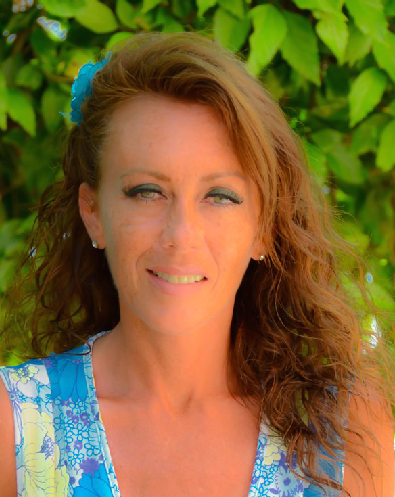 Maria Williams is originally from Michigan, has been a U.S. licensed REALTOR since 2005, and has lived in Punta Cana since 2008. Maria is in good standing with the U.S. National Association of Realtors (NAR), and is a member of the National Association of Professional Women (NAPW). Maria maintains a continued affiliation with Century 21 in West Michigan, and is a member of the AEI Real Estate Association in the Dominican Republic. Maria’s primary clients (both sellers and buyers) are English speaking from the United States, Canada, the U.K. and various parts of Europe. 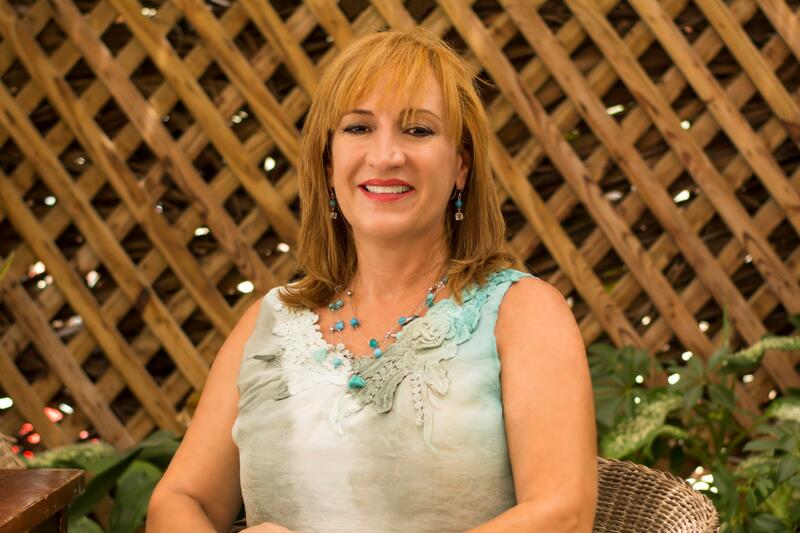 Maria holds an international marketing degree along with over 35 years combined experience in sales, marketing, customer service, project management and small business ownership. Maria is the proud mother of two married and successful children, and eight beautiful and talented grandchildren. She cherishes time in the U.S. catching up with family and friends. Maria enjoys travel, art, photography, golf, and various water sports including swimming, boating, and scuba diving. ES-TV – “Punta Cana Homes” – Ongoing. FIVE (5) HGTV CARIBBEAN LIFE EPISODES! Watch for NEW 2018 upcoming episodes! Maria also has extensive property management experience, and has received various project management and customer service awards, She was a former District Manager for Pacific Intercultural Exchange, and has extensive experience in tradeshow and event planning, She formerly owned an art gallery and school inMichigan, and was an Honorary Chairperson for the National Congressional Committee, and is a proud U.S Army Veteran. 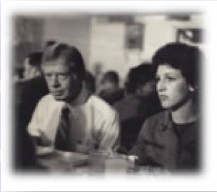 While serving in the U.S. Army as a squad leader in South Korea, Maria was selected to meet with former president Jimmy Carter in 1980. During breakfast, Maria suggested that service men and women be allowed to wear tennis shoes instead of uncomfortable standardized military leather boots during extensive training. This suggestion was implemented throughout most U.S. bases and several bases abroad, and has since led to more consideration in the customization of breathable military footwear, hence increasing performance, and reducing painful orthopedic conditions. 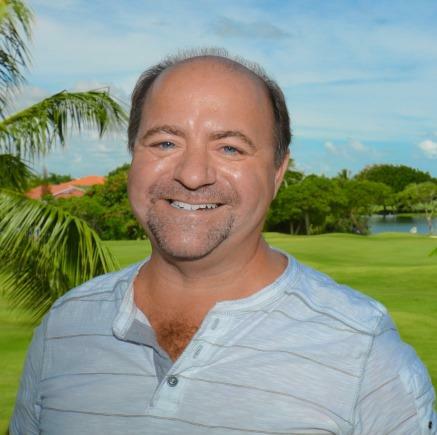 Todd Williams has lived in Punta Cana since 2008 and together with his partner Maria, they are the creators and pioneers of the short-term vacation rental concept and explosion in Bavaro (Punta Cana); and the industry leaders in FULL SERVICE Property Management and Vacation Rental Booking Services in the area. Todd ensures that our property management services and vacation rental services are done with excellence, regularly exceeding the high standards of our primairly North American clients. Reliable Property Management offer the most affordable and most comprehensive management/ Vacation Rental services in the area, with no hidden fees. Todd and his team now services nearly 75 exceptional properties, and Todd personally oversees the daily scheduling and coordination of all property management functions. He also oversees all monthly accounting and rental statements and answers an average of 50 rental inquiries daily. All this is a true testimony to Todd and his team’s dedication, ethics and excellent reputation. Under Todd's leadership, Reliable Property Management was the first in the area to be contacted by HomeAway, has achieved the Trip Advisor Excellence Award, and has has been featured in The Edmonton Journal (May 2010) and The Winnipeg Free Press (August 2010). Todd is quick to respond... although he attends to ongoing emails, texts, and phone calls day and night. He is a straight shooter, and is passionate about demonstrating prinicpalites and ethics, expecting the same from all those he works with. 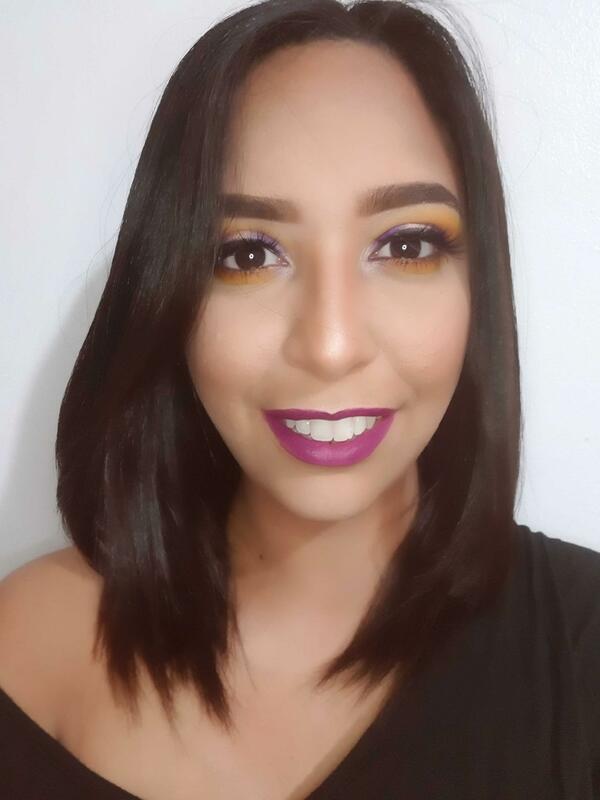 Gisselle is our NEW 2019 Office Administrator, and Project Manager - She comes to Reliable Realty with experience in Real Estate Sales, Project Management, Customer Service, and even Property Management (rentals) and Excursion Booking/ Coordination Experience. Gisselle's all-important role in our office consist of an array of diversified tasks pertaining to ALL the functions of our multi-sevice Real Estate, Project Management, and Property Management (Servicing Owners and Vacation Rental Clients). Thus a position requiring exceptional skills in all facets of our 11 YEAR OLD REAL ESTATE/ VACATION RENTAL BUSINESS / AGENCY. Holland (Europa) with his mother for a better life. While in Europa, Gregory studied Philosophy and also held a part time job as a car-painter while attending college. “This education, combined with my work experiences, changed my life into becoming a more mature man,” says Gregory. 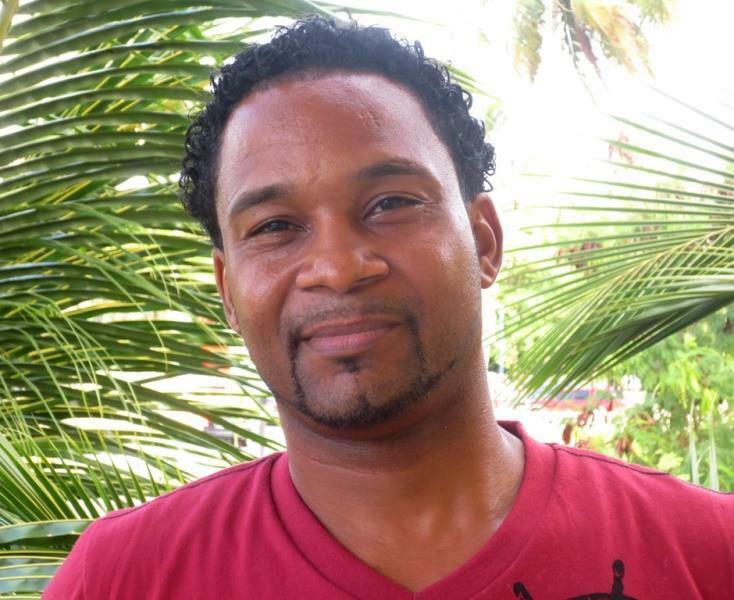 In 2006, as part of the human rights movement in the DR, Gregory worked for a public school for four years, primarily as a teacher. During that time he amassed valuable skills while participating in many educational activities including various workshops, conferences, teamwork courses, and leadership training. Gregory is a loving and hardworking husband and the proud father of 2 young children who reside here with him. His primary job as the Property Management Supervisor, is to assist Todd (the co-founder and Property Manager) as the "feet on the ground" person, thus assuring various property and project management work orders are immediately attended to.Personal hands on customer service is in high demand for the over 4000 vacationers and owners the Agency services annually, especially during high season (Dec. - April) when there can easily be 10 or more check-in and check-outs in one single day. Gregory's role as Property Management Supervisor varies every day - from personally attending to small repairs himself, coordinating the cleaning and transportation schedule, attending to the ongoing inventory management needs, assisting with prompt bill paying, to the personal and professional client check in and check out duties. Gregory also assist with our Project Management team in immediately attending to vacation rental guest (or visiting owners) request for minor repairs (i.e. A/C, televisions, hot water heaters, appliances, etc.). Gregory also assist our new owners in establishing electricity services, cable TV and internet. His ability to speak, read, and write both Spanish and English is essential for this position. Gregory’s responsibilities require him to be on call nearly 24/7 so that he can meet the many needs of our clients from around the world. However, even while balancing his work and family life, Gregory receives daily compliments for his kind, prompt, professional and calm approach in all situations. Krystal Gorham was born and raised in South Western Ontario Canada, and brings 25 years of experience in sales, management, and marketing. Krystal, along with her husband, own a successful Heating and Cooling business with operations in Hamilton, Burlington, and Oakville Ontario, Canada. As a co-owner of this business, together they built their business to the growth and success it is today. As a business owner herself, Krystal truly understands the importance of our agencies most cherished values; honesty, trust, hard work, and exceptional customer service. Krystal is also member of the Canadian Legion and has lived in Foggia, Italy for 8 years before the operation of their business in Canada, hence providing her the opportunity of learning to speak some Italian. A great advantage here in Punta Cana. Krystal has been traveling to Punta Cana for years before moving here full-time. Like most of our team, it was her dream to live the lifestyle that Punta Cana offers, and by having a great team running their company back home, this has allowed Krystal and her husband, the opportunity to fulfill this dream. 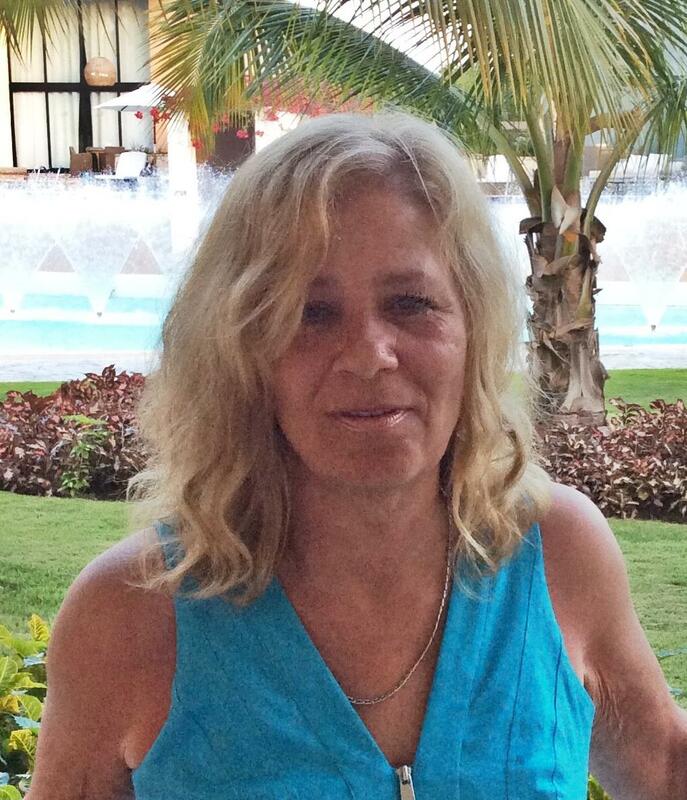 After almost a year living in Punta Cana, Krystal decided she missed the interaction of working and assisting people. 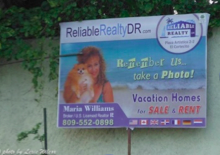 Thus, bringing her to Reliable Realty. Krystal is ready to help you accomplish the same dream of home ownership and a lifestyle change soon. Krystal and her husband have three beautiful daughters and a loyal German Shepard, which they have had since a puppy. When Kyrstal is not meeting new people, and/ or selling Real Estate, she is an artist working on a new art piece in her favorite acrylic medium; painting beautiful landscapes Punta Cana is known for. From a 3rd party perspective, she is quite talented too. A few of her amazing paintings are now proudly displayed in the Reliable Realty office. Krystal’s other hobbies include walking, playing ball with her dog, cooking, and trying new cuisine’s. Krystal looks forward to developing long and lasting relationship with all her clients, whether the purchase is securing a perfect permanent home here, a vacation home, and / or as a real estate investment. Lexie offers an array of special and value-added services to Reliable Realty, its owners and our vacation rental guests. FOR EXAMPLE: Her informative mini, yet affordable Walk-About-Tour, as well as an array of photography services offered. 1. "WALK-A-BOUT" TOUR: This custom tour is a condensed, yet informative “area / amenity discovery tour where together with Lexie Wilcox, Canadian – Dominican resident, explore our friendly Bavaro Beach-town neighborhoods of Los Corales and El Cortecito… with emphasis in the Los Corales commercial and beach areas. Lexie provides beneficial navigational and cultural tid-bits from the perspective of a North American expat. So instead of spending several frustrating hours of your vacation time trying to “figure it out” join knowledgeable and bubbly Lexie on her valuable area Walk-a-bout” tour. • Lexie also offers some exceptional stock photos for purchase for work projects, websites, FaceBook, or specific area photos. Ask about her amazing portfolio. Please Contact Lexie Directly for More Information and Pricing. Since Lexie’s first bazooka bubblegum camera, to her sophisticated high-end equipment she uses today, Lexie has had a passion and eye for photography; landscapes, objects, people, interior spaces, groups, family events, weddings, and even photographs for websites and corporate ads. Lexie’s love of animals, birds, and all God’s creatures allow her to step out of typical photography boundaries. She has captured cultural beauty in photos in many places throughout the world, including Europe, 11 provinces in Canada, 45 states in United States, and the Caribbean. While living in Brunswick, and when Lexie was not pursuing her passion for photography, she worked as one of the few female taxi cab drivers in Canada and owned her own cab. Formally Lexie was the vice president of tourism for the Chamber of Commerce in her Canadian hometown and has over 20 years of customer service experience in numerous fields. Lexie also enjoys home renovation and design, horseback riding, and designing and sewing her own evening gowns.